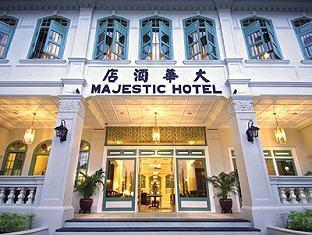 There are a lot of accommodations to pick from in Melaka (also known as Malacca). If you plan on staying in the capital city of Melaka, UNESCO World Heritage listed Melaka City, accommodations here are perfect to suit all types of traveler. There are wide ranges of luxurious hotels, budget hotels, guest houses and apartment available for rent. You can also find plenty of accommodations around and in the towns of Alor Gajah, Ayer Keroh or Tampin. The city centre of Melaka also homes to many top notch hotels, with majority of the heritage sites located in the city, it is one of the most crowded and tourists preferred destinations in Malaysia. Here you can also find a great range of affordable accommodations, with 3 stars hotels being the perfect rental option. Ideal for family vacation, majority of these hotels can be found within the town providing tourists to Melaka some much needed privacy and space. Coupled with the guided city tours offered and arranged by the hotels, these vacation getaways can be a real treat. The major attraction in Melaka, A Famosa is one of the most tourist preferred destinations among the locals and international travelers. Visitor to this place not only able to stay in the all inclusive resort and villa suit, but also able to enjoy a fun filled family vacation in the theme park with diversified of activities. Golf lover will also enjoy staying in the A Famosa Golf Resort and to test their expertise level in the 27 holes golf course at the same time. Being one of the most touristy destinations in Malaysia, Melaka hotels can be very full, especially during the school holidays or festive seasons. Pre booking on the hotel room is always recommended as to avoid any hassle during your vacation in Melaka.